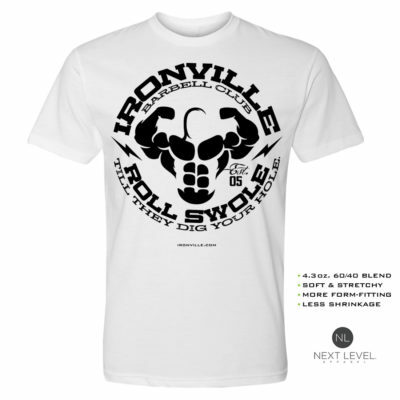 Ironville Clothing Company, as usual, was the first to pen this great saying and put it on a weightlifting tank top: Blood Sweat & Iron. We may also be the first to combine a giant dumbbell with a set of brass knuckles. Innovate, its what we do.